Posted in: Authors, books, Fantasy, Gamebook, gaming, Readers, Reading. Tagged: camp david, david walliams, Fighting Fantasy, proof reading, The Warlock Of Firetop Mountain, TinMan Games, typos. Well author Jonathan Green has turned me into a proof reading force of nature. 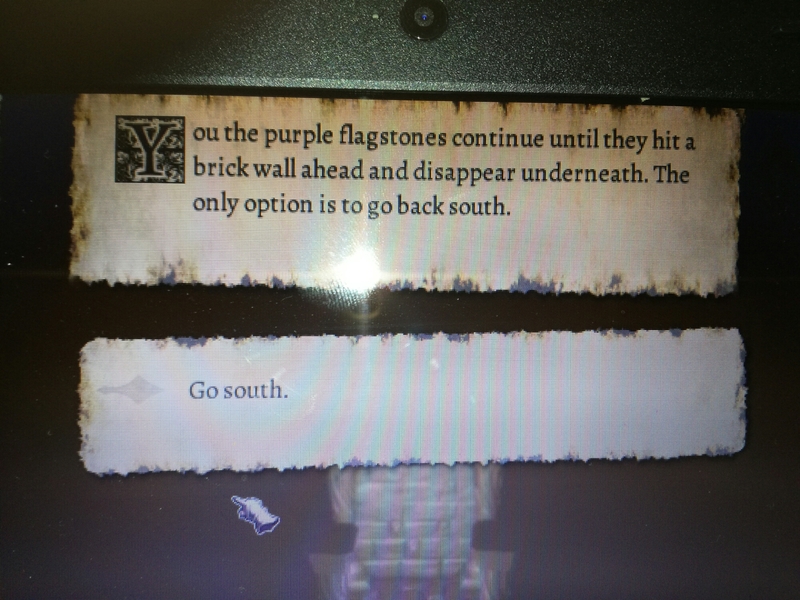 Today I played through Tinman Games’ adaptation of The Warlock Of Firetop Mountain. Low and behold, I found this little nugget, seems to be missing the word ‘follow’. 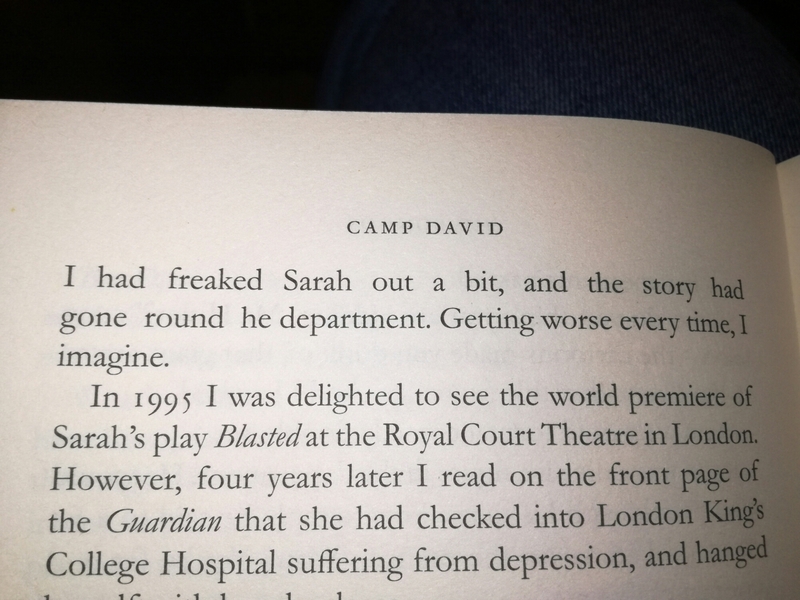 Then this evening I sat down with David Walliams autobiograpgy Camp David, and discovered line two say ‘he’ instead of ‘her’. Back to The Warlock though, I finally progressed to the place where Zagors Crypt contain a book and look who’s second on the list 😉 Im beaming with pride yet again and feel im official Fighting Fantasy merchandise myself haha. Posted in: Uncategorized. Tagged: dungeons and dragons, Review, The Warlock Of Firetop Mountain, Tin Man Games, warhammer. ​Ive been avoiding reviewing this far too long as my laptop was elsewhere at the time of launch. I am a huge fan of Fighting Fantasy books and have been so since 12 years old. 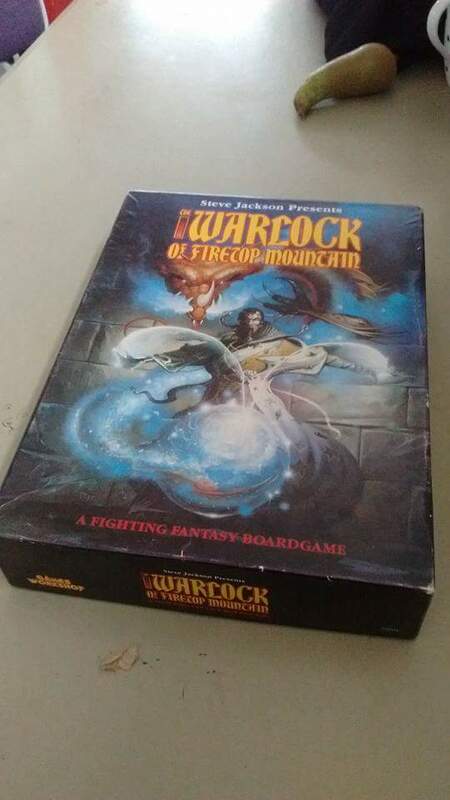 When the crowdfunding campaign was launched for the production of this version of The Warlock Of Firetop Mountain I knew id be in safe hands with Tin Man Games at the helm. They had released several text based versions of a few FF titles but nothing of this calibre. I HAD to back it, earning myself a TinMan pinny in the process. Did they deliver? Of course they did! TinMan overlord Neil, whom I met breifly in 2014 was a big fan like me so could only ever do it justice. The mountain dungeons look incredible, the avatars of the monsters look like they have sprang right out of a copy of Out Of The Pit (the FF bestiary) and Russ Nicholsons artwork looks as good as it ever did. To make gameplay even longer, TinMan have cleverly integrated several subplots and and army of new monster and characters… including more than one hero character. I cannot recommend this game enough. Gaming nerds from the 80s who dabbled in Dungeons & Dragons or Warhammer will especially love the floorplan/miniature feel, but anybody will enjoy playing this game at all. Well done to Neil and all at TinMan. Posted in: Uncategorized. Tagged: app, Fighting Fantasy, The Warlock Of Firetop Mountain, Tin Man Games. 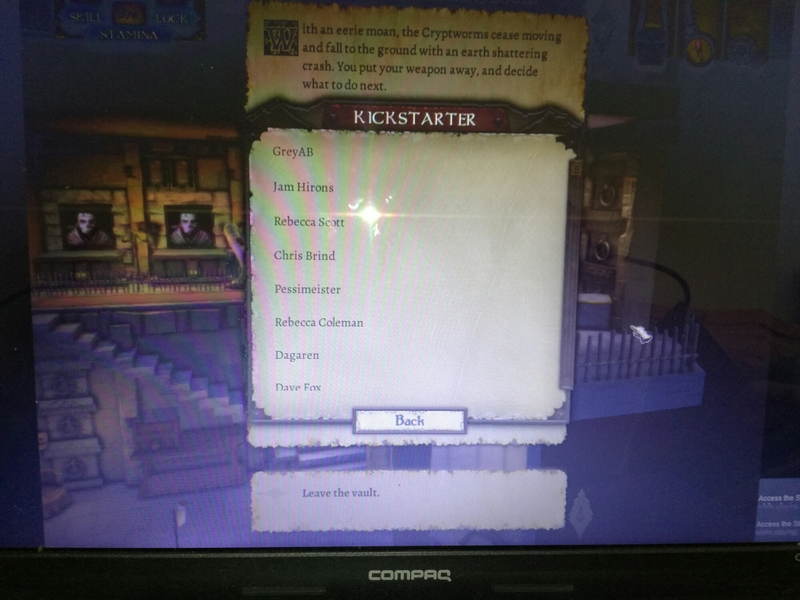 Teaser trailer for Tin Man Games up and coming Fighting Fantasy based dungeon crawl app. And isn’t it looking fantastic!! Posted in: Uncategorized. Tagged: Fighting Fantasy, Fighting Fantasy Quest, Ian Livingstone, Steve Jackson, The Warlock Of Firetop Mountain, Zagor. Technically I dunno if I’m allowed to share this yet but it’s been done so by a couple of others and a plugs always good for business so here it goes! Fighting Fantasy Quest is planned to hit Kick-started soon, a tabletop version of what appears to be based on The Warlock Of Firetop Mountain … the first ever Fighting Fantasy book of the long running and globally successful series of role play game books created by Steve Jackson and Ian Livingstone. For more about this exciting new project CLICK HERE!